Following an earlier blog, BT to shut down its ISDN and PSTN networks: Getting your business ready, we briefly looked at some of the options you have following BT’s announcement to shut down its ISDN networks. Today’s business climate calls for reliability, agility and flexibility. In order to deliver on these core goals, the tools that companies need to communicate to their customers must be future ready and fit for purpose. Following BTs announcement that they intend to switch their ISDN network off entirely in 2025, the general consensus is that the technology will be as good as gone within the next five years. Recent headlines suggest existing ISDN customers may wish to begin considering their options sooner rather than later. ISDN is a dying technology. Earlier this year, headlines suggested that BT were to make several thousand of its staff redundant as part of a £500m cost-cutting drive. * Whilst it is reported that these are within middle-management, customers are genuinely worried about their service levels; how these service levels compare on legacy products and if there will be further price rises to compensate for supplying and servicing what is fast becoming obsolete technology. With the phrase ‘always on’ an expectation rather than a bonus, moving to a modern system is becoming a necessary step for businesses that are serious about how they communicate. To go back a step for a moment, what is ISDN? It’s a communications network that came to prominence because it provided the opportunity to transmit voice and data over the same line. However, it relies heavily on physical infrastructure, specifically copper and because of its reliance on this physical infrastructure to manage calls and additional functionality via a PBX (or multiple) it takes up space within business premises and requires resource to administer and maintain. 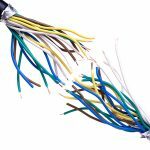 Similarly, it is hard to add and remove new lines to an ISDN network because it requires physical addition and removal. When things break, there’s no quick fix! 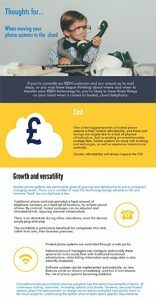 If you’re currently an ISDN customer and are unsure as to next steps, or you may have begun thinking about where and when to transfer your ISDN technology to, you’re likely to have a few things on your mind when it comes to hosted, cloud telephony. Find out more in our infographic. With the cost saving potential of a cloud solution, as well as its resilience and reliability, it is the common-sense option for any organisation looking to be truly always on, and to provide customers with a first-class experience. The benefits of moving to the cloud can transform business communications and the process of switching is simple and safe, even for the most risk averse of businesses. 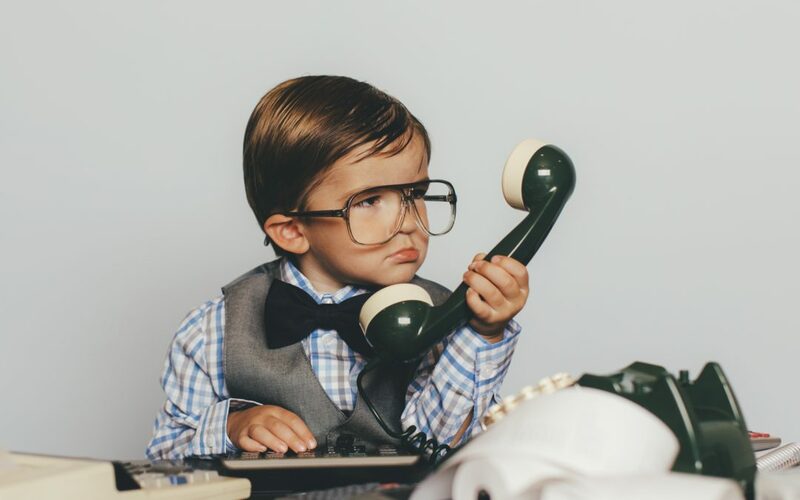 For modern businesses, there is no longer a good reason to continue working with an ISDN-based telecommunications solution. Get in touch to find out more or to get a no obligation quote to transfer your business away from ISDN sooner rather than later.